Live your best life here! As the incoming Chair of the Lamoille Valley Chamber of Commerce, (yes, we are adopting a new name); I am always happy to talk with anyone anywhere about how wonderful our county is; how great it is to live here; how lucky we are to enjoy a strong business community, good schools, excellent health care resources, and how Lamoille County is one of the most welcoming, safe, and supportive regions in the State for entrepreneurs, new and expanding businesses, young families, retirees – all, enhanced by a pristine natural environment. We have exceptional voices representing us in Montpelier through our State Senator and in the House of Representatives, and we benefit from the numerous ways that people contribute to and participate in creating healthy, vibrant local communities. Lamoille County is proud to shine a spotlight on numerous world class businesses who make their home here – from the food industry, manufacturing and more. 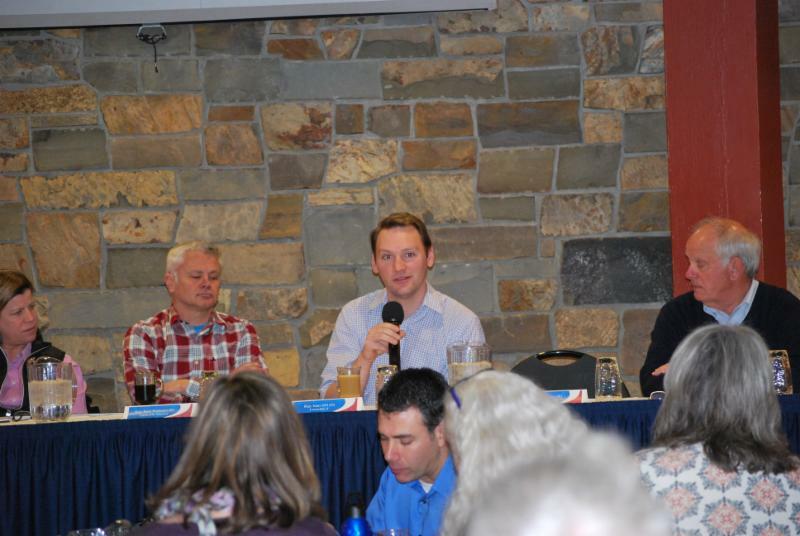 Tourism is strong in Lamoille County – benefiting from two amazing ski resorts that bookend our county and all the amazing businesses in between. Over 4000 businesses make their home in Lamoille County and it is our wish, as your Chamber, to serve you all. Talking about Lamoille County is easy. My family has very old ties here. My immigrant grandfather’s brother operated a farm at Morristown Corners and I remember as a very young child coming to visit them and listening to their fluent French conversations. As a proud graduate of Johnson State College; and now, having lived here almost 20 years as a transplant from my hometown of Burlington, I have been fortunate to raise my son here; find meaningful employment with two exceptional health care organizations – Lamoille Home Health & Hospice and The Manor; provide marketing support to numerous small businesses and nonprofits; and enjoy a quality of life in the town of Elmore where I feel like I belong, that my opinions count, and that I can participate in community matters that make a difference. And, to be able to proudly say, we are home to the only remaining operating one room schoolhouse in the state and only one of 27 remaining in the entire country! Small is beautiful – and still – very much relevant! 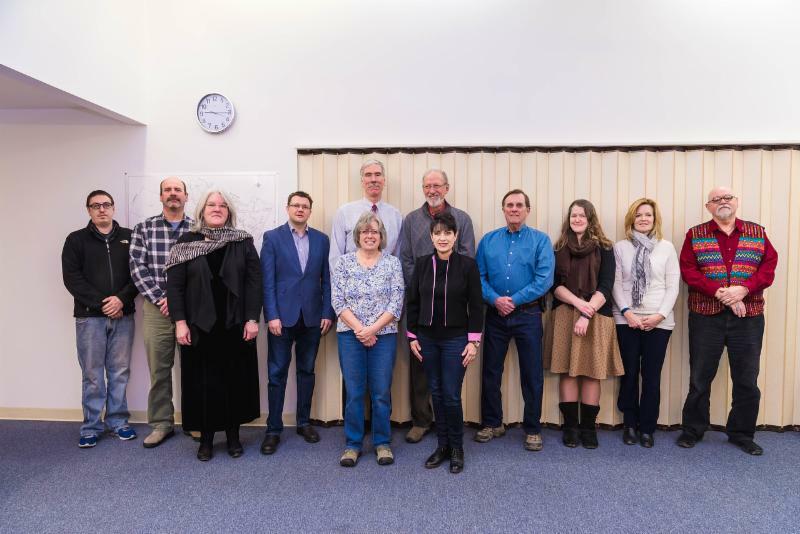 Our Lamoille Valley Chamber of Commerce is fortunate to have the skills and talents of a range of business professionals who serve on our Board of Directors. Get to know us! Anyone on our Board and various committees would be more than happy to talk with you about your business and what your Chamber can do to support you and your success. We welcome the conversation! As the Chamber digs into the new year, I want to acknowledge our outgoing Interim Executive Director, Max Neal, whose diligence, enthusiasm, and leadership has helped us grow and function as a professional and vibrant Chamber. We will miss her! Thanks, also, to our very dynamic behind-the-scenes Administrative Assistant, Jen Kittell, who has held the fort for all of us during more than one transition. To Marlene Merriam-Tobin for her continued commitment as our finance person. Thanks to our outgoing Board members: Ken Gibbons, Tracy Baker, Nick Manosh and Caren Merson. Our communities are stronger because these people contribute so much to our vitality. Thanks to our returning Board of Directors: Nick Rivers, Becky Olson, Nancy Durand, Dawn Archbold, Adam Lory, Greg Paus, Karen Blanchard Smith, Rich Smith and Rich Marron who devote many hours of time and expertise to Chamber work. And, finally, a sincere welcome to our incoming Board members, Ryan Meravi, Catherine Aranda-Learned, and Robert Coates, and to everyone who serves on a committee, supports our events, and sponsors and attends Chamber programs. Thank you! We look forward to welcoming a new Executive Director (soon) and have exciting, competent candidates we are now interviewing! We will keep you posted. Support your Chamber! Learn what we can do for you. Attend a Chamber function, mixer, legislative breakfast, or other signature event. Share your skills with us. Got an idea? Let us know. Should you wish to contact me, my email is: mary@shinecommunications.org. I would be more than happy to talk with you about our awesome resources, about membership and its benefits, and about the amazing businesses and individuals who are the lifeblood of the Lamoille Valley Chamber of Commerce! 2017 LRCC Board of Directors: Robert Coates, Power Play Sports, Rich Marron, Town and Country Resort, Mary Collins, The Manor/Lamoille Home Health and Hospice, Ryan Meravi, VT Web Marketing, Rich Smith, Hickok & Boardman Insurance, Greg Paus, Silver Ridge Design, Inc. Architects, Ken Gibbons, retired, Karen Blanchard-Smith, Union Bank, Nancy Durand, Pall Spera Co. Realtors, John Mandeveille, LEDC, Dawn Archbold, community member, Catherine Aranda-Learned, Vermont Artistry Photography. The Events Committee is busily planning the 28th Annual Membership Meeting, Dinner & Celebration, presented by Union Bank. It is being held on March 1 at the Stoweflake Resort and Spa. Get your tickets here. Sponsorships and silent auction donations are actively being sought. If you’d like to sponsor the event or donate to the silent auction, please email Mary L. Collins, LRCC Chair, Tracy Baker, LRCC Events Committee Chair or Jen Kittell, administrative assistant. are now being accepted. Deadline is February 1.
to view your current listing and send changes/edits to Jen. We’ll have much more to report on in the coming months. Stay tuned. The Membership Committee is pleased to welcome Cake & Crumb Bakery, Madadashcar and CT Pickersgill have joined the Chamber in the last two months. Please give them a huge Chamber welcome. Would your organization like to join the Chamber? If so, you’ll find a membership application online or reach out to Ambassador Rich Jacobs for more information. The Chamber is currently revitalizing and redefining the focus of its committees to bring members improved benefits. And to do that, we need you, your expertise and your ideas. Please consider joining one of the above committees. Reach out to Jen for more information. Thursday, February 2 – 7 p.m.
For more information, reach out to John Mandeville at (802) 888-5640. Rep. Matt Hill talks about his committee assignments in the Legislature at the LRCC’s first Legislative breakfast of the year, hosted by Johnson State College. Join us for our next Legislative Breakfast on February 27 at Lamoille County Mental Health. Click here to register. Wednesday, March 1 – 5 p.m. to 8 p.m. Contact Jen for more information.